When you hear LinkedIn being called a “social media site,” do you hear fingernails scratching the blackboard? If you do, I’m glad. 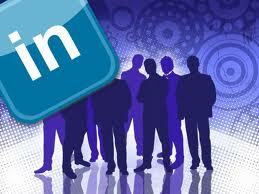 This means you’re onboard with those who see LinkedIn as a professional networking site. Facebook and Twitter are social media sites and mighty fine ones at that. What makes LinkedIn a professional networking site are rules of etiquette that are followed by most of its members, one of which is not disclosing too much information or the wrong type of information. Posting negative comments about your job search in a LinkedIn group. Issuing Status Updates that are unrelated to your professional image. Misusing LinkedIn Answers – revealing confidential data or using the site for non-professional queries. Please read Laura’s article if you’re wondering about how to effectively network on LinkedIn for business and the job search without over-sharing. This entry was posted in Career Search, LinkedIn and tagged Answers, LinkedIn, LinkedIn etiquette, LinkedIn profile on March 10, 2012 by Things Career Related.